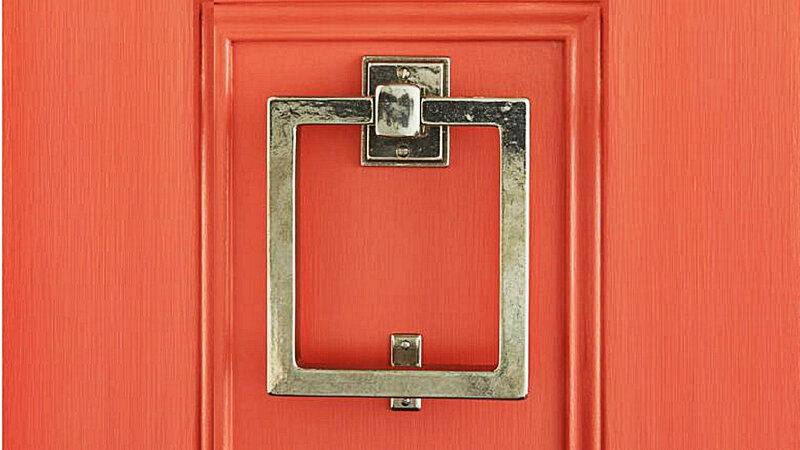 A modern door knocker is a crisp welcome on any contemporary front door. Whether its curb appeal for a home or making a statement in a condominium, your front door is your home’s first calling card. If your style is more modern, traditional hardware like handles, doorbells and door knockers, can feel heavy and imposing. Switching up the hardware is of the quickest easy changes you can make. It’s a faster fix than painting and far less messy. I like to start with the door knocker. 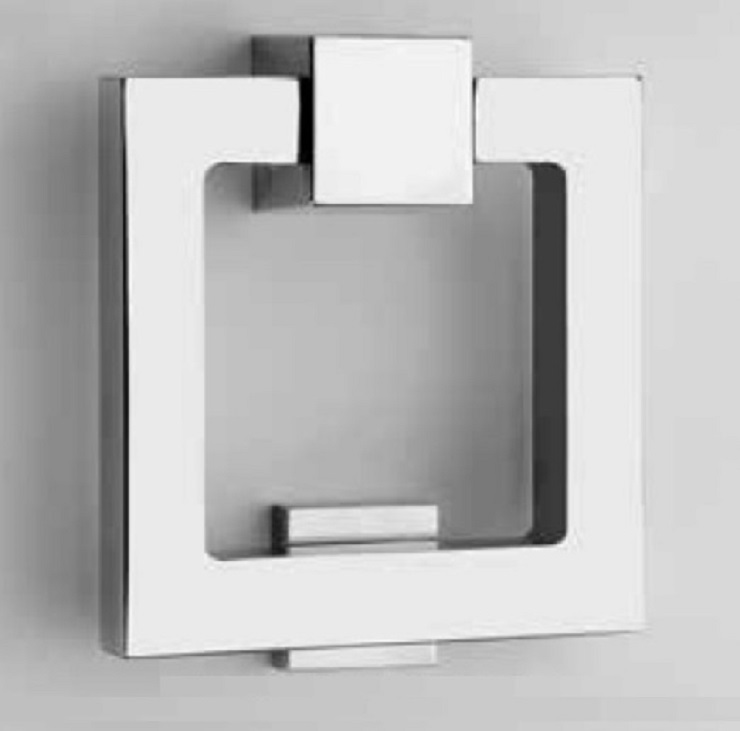 A modern door knocker that’s well designed is as much about interesting lines as it is about the feel in one’s hand. These two modern door knockers are crisp, clean and timeless. Urban Front stainless steel door knocker has a satin finish. The rectangular design and minimal detail lets the knocker lay almost flat. It measures 104mm by 50mm by 20mm. This Square Door Knocker is rather substantial. 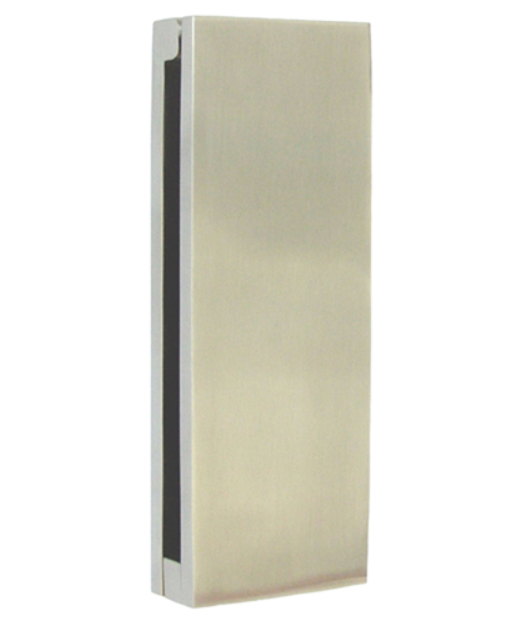 Its crafted from solid brass in England and can be finished in polished or satin chrome as well as nickel. The knocker is 106mm high and 100mm wide.